Yet another global name is expanding its microgrid play — Rolls-Royce — with yesterday’s announcement that it has taken a stake in an energy storage and controls startup and will now offer turnkey microgrids. The transportation and power technology company will add batteries, controls and renewables to its microgrid line following its investment in German start-up Qinous. Rolls-Royce had been offering diesel and gas gen sets for microgrids through its subsidiary MTU Onsite Energy. Schell said the move strengthens Rolls-Royce position as as innovator that can supply customers with microgrid systems tailored to their specific requirements. Rolls-Royce is among several major US and international energy developers and technology companies now pursuing the microgrid market, among them ABB, Ameresco, Eaton, Enel, Engie, GE, NRG Energy, S&C Electric, Schneider Electric, Siemens, Tesla and Veolia, along with North American utility giants Duke and Exelon. Rolls-Royce cites demand for microgrids created by the growing addition of renewable energy to the power supply. Grid operators can call upon fast-responding microgrids when weather causes a sudden disruption in wind or solar generation. 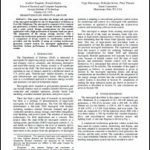 In a statement released this week, the company also noted that microgrids create efficiencies by linking up all the elements of a power system with intelligent controls. Incorporating renewables into a microgrid’s on-site energy, which Rolls-Royce now plans to do, makes the system clean and economic: “With the use of energy storage and renewable sources, operators of hotels, hospitals or schools are able to make significant fuel cost savings and at the same time protect the environment,” said Qinous CEO Steffen Heinrich. Qinous has already integrated battery storage and energy systems into more than 30 microgrids worldwide, including those using MTU Onsite Energy systems from Rolls-Royce. The startup plans to use the Rolls-Royce backing to expand its existing product portfolio and strengthen global sales and marketing activities. The parties did not disclose the size of the investment. 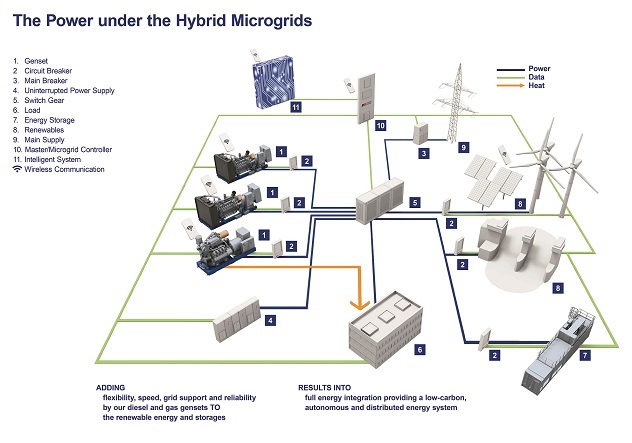 Here comes the Rolls-Royce of #microgrids. No, really. Rolls-Royce Power Systems is now setting up a microgrid demonstrator in Friedrichshafen, Germany that will assist in the design of microgrids that meet a customer-specific requirements. “Microgrids are part of our Green and High-Tech Initiative, with which we are making targeted investments in environmentally sound solutions for the future that are designed to lower the emissions of pollutants and reduce the consumption of energy and raw materials,” added Schell. Track news about microgrid players. Subscribe to the free Microgrid Knowledge newsletter or follow us on Twitter @MicrogridNews.